Traveling with a group of students can be hard – finding a balance between making a trip fun while also learning a little something is as hard as it sounds. We get that! So, we’ve made this list for you to help find a way to get the best out of your school trip. Before your visit to Paris, you’ll definitely want to have an idea of what you want to see. 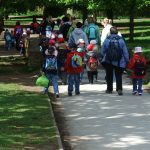 We know it can be overwhelming to decide how to balance the fun with the educational – but it’s perfectly possible! So, we’ve organized a list into categories to help you decide when planning your school trips to Paris what suits your group the best, starting with a list of our top 5 must see places and continuing with our carefully though-out categories. 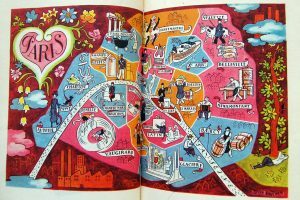 You may notice some overlap with the must-see places but that’s just because you really must see them! Louvre Museum – once home to the French monarchy, the Louvre is now the largest museum in the world, and home to some of the most well-known pieces of art and artifacts around. 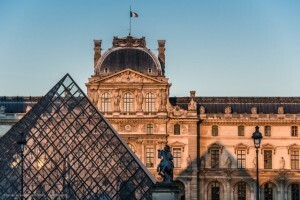 A visit here will give student trips to Paris a chance to not only learn about the history of the building, but to see paintings like the Mona Lisa, sculptures like the Venus de Milo and artifact’s like the Great Sphinx. It’s definitely worth a trip for that balance of education and fun. Musée D’Orsay – another world-famous museum located along the River Seine, the Musée D’Orsay is home to a number of famous paintings and sculptures, including the Small Dancer Aged 14 sculpture. You’ll definitely want to dedicate some time to this museum. Paris Museum of Modern Art – for a slight shift in style, visit the Museum of Modern Art, it may not fill you with the same knowledge of France’s history, but it will definitely open your eyes to the world of modern art. Centre Pompidou – another must for student trips to Paris, here you’ll get to experience not only the art and design of the building’s infamous exterior – as well as views from its exterior escalators – but you’ll be able to see the Musée D’Art Moderne. Versailles – If you have time, definitely consider a day trip to Versailles when planning student trips to Paris. 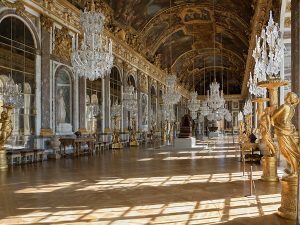 Here you can discover all about the history of the past monarchy, as well as explore the palace – with the hall of mirrors – Marie Antoinette’s house, and the stunning gardens. It’s a great way to balance beauty and fun with education. The Catacombs – These underground remains are fascinating and perfect for school trips to Paris. Here is where millions of remains were placed to make space in cemeteries. Definitely a place that’s cool while still learning something about French history. Eiffel Tower – How can you not talk about the Eiffel Tower when you talk about French architecture. Built in 1887, this monument has become one of the most well known in the world and its architecture is unlike any other. Arc de Triomphe – One of the most famous monuments of Paris, located at the head of the Champs Élysées, this is definitely a must! Explore the surrounding streets, and even climb the monument itself to get a sense of the detail and layout of the city as well as of the arc itself. Opera Garnier – Designed by Charles Garnier, each and every element of this building is jaw dropping. If you’re looking to explore beauty and architecture during any student trips to Paris then this has to be on your list. 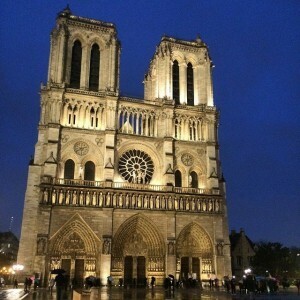 Notre Dame and Saint Chapelle – Notre Dame is one of Paris’s most beloved monuments. Located on the Isle de la Cité its as beautiful as one imagines and an important site in the history of religion in Paris. Also, on the Isle de la Cité is Saint Chapelle – definitely a must see – where you can see stunning stained-glass windows stretching all around. Sacre Coeur – At Paris’s highest point, you will see the Sacre Coeur, where you will not only see the beauty of the church, but you will get a stunning view of the whole city from above. There are countless places to visit in Paris and ways to balance fun with education. 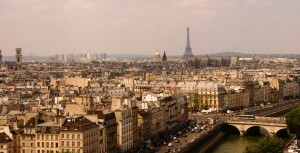 For help planning student trips to Paris click here.